Lotus Herbals White Glow Nourishing Night Crème Review: Are the claims true? Lotus Herbals has a skin care line called White Glow and they claim it is an answer to aging skin which has begun to develop discolorations. They say that it nourishes skin deeply and quenches it to renew dull cells. It is said to decreases the visibility of dark marks and blemish scars. It is supposed to target and remove dead skin cells allowing healthy, glowing skin to rise to the surface. They claim that it even powerful enough to offer treatment to patients diagnosed with severe hyperpigmentation. Lotus Herbals advertises its Nourishing Night Crème as created from specific botanicals that are from nature’s cabinet. This cream is said to rehydrate parched cells and erase age spots leaving only bright, beautiful skin. Look below for the facts about these ingredients. Camellia, also known as Tree Seed, included in many Asian white tea blends. It is also common ingredient in many skin care products because it possesses conditioning and moisturizing properties. 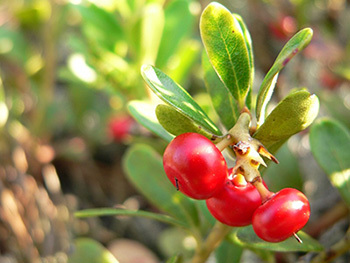 Uva-Ursi, sometime called Bearberry, offers a substance known as alpha-arbutin which is broken down by skin cells to synthesize a form of hydroquinone which is natural. This chemical is often used as a skin bleaching agent. 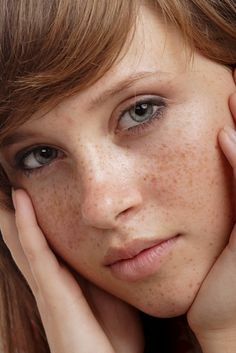 The synthetic form of hydroquinone is frequently used to erase signs of hyperpigmentation. The mulberry bush provides phenyflavones which may be used to detoxify the skin; revitalize cells; and cleanse deep down in pores. These properties are said to offer skin tone smoothing; blemish battling; and rehydrating actions. Vitis vinifera is better known as grape seed extract and it possesses AHA or alpha hydroxy acids. It is said to exfoliate dead skin cells while quenching the new healthy skin hiding below and lighten dark marks. Enzymes extracted from milk have powerfully hydrating abilities which have been used for centuries. Today, modern science backs up this practice. Milk enzymes are a form of alpha hydroxy acid which proven to whiten skin partially by deeply exfoliating the skin. Most reviews for the White Glow line are positive. Every component in this formula has been scientifically investigated. This product is not at the extreme end of expensive. There is no scientific data for the post market product. Most websites do not seem to have it in stock. This skin lightener includes parabens. No money back guarantee is offered and no return is accepted save for those with production defects. Tons of websites list this product, but few keep it in stock. The official company site offers it; however, it is difficult to determine the exact price. A 2-ounce containers costs in a range from $5 to $30. This is not a wise choice as there is no type of refund provided by the company. None of the popular websites appear to want to stock it.